Renée Watson is a frequent contributor to Rethinking Schools. Her most recent article, “Mirrors and Windows: Conversations with Jacqueline Woodson,” appeared in the fall issue of Rethinking Schools and is featured in our upcoming book, Rethinking Sexism, Gender, and Sexuality. We wanted to make sure you saw this thought-provoking blog on how racist and sexist thinking about marketing can limit which children read which books. This blog post was featured on Bloomsbury’s Tumblr in hopes that by opening up a dialogue among authors and gatekeepers, we can fight the harmful practice of genderized reading and make all books truly accessible to all genders. There’s a feeling I get in the pit of my stomach whenever I see a message from my editor in my inbox with a subject line that says, Cover. I take deep breaths before I click the email open because I know that in many cases, the cover sells the book. The cover is a marketing tool. One image is supposed to convey the essence of the entire novel, while also being aesthetically pleasing, while also whispering to readers, “This book is for you.” And then of course, there are my own feelings. I want to be proud of the cover. That image will be side by side with me on book tours, on posters and flyers for events. I need to like it, want to love it. I’m sure all authors have some degree of anxiety over the cover. I’m going to assume that female authors who write stories where the main character is a girl might have even more anxiety because we know that books with girls on the cover get put in the “For Girls Only” category. I know many authors have experienced doing author visits to girl-only audiences because the school thought their male students wouldn’t relate to the author, to her book. What this teaches young people is that stories by and about females are less than stories by and about men. It teaches young boys to silence the female voice, to disregard it, to give it less weight than their own. As an author who is black and female, who writes stories about young black girls, I know that many librarians and teachers will only recommend my book to black girls. And let me say, that I want black teenaged girls to read my work. I hope they see their experiences mirrored in the pages. But I also hope my work opens up the world a bit for readers who are not black, not female. That they learn new perspectives, that they find ways to relate with the characters who maybe seemed so different from them. Most importantly, I want books by and about women, stories by and about people of color, to be made available for all readers. Because our stories matter. Because the young people sitting in our classrooms, coming to our libraries, will soon be adult citizens who will need the life skill of empathy and the ability to understand and analyze themselves, their society, and contribute in a positive way. They will need to understand the importance of valuing many viewpoints. I am thankful for the educators, librarians, and parents who have shared my work with young people regardless of their ethnicity or gender. These gatekeepers know that themes of loss, change, resilience, love, and redemption are universal. These gatekeepers are committed to pushing against the norm and asking themselves, What if we recommended books to young readers based on the quality of the story, not if the cover has a girl or boy on it? What if we were intentional about making sure young readers have a variety of stories to choose from where protagonists may or not look like them or come from places similar to the place they live? What if the cover of a book that looked “different” or “too girly” or “too ethnic” was seen not as a deterrent but an invitation to step outside of oneself? What if stories were for everyone? Teaching Social Justice through Fashion: a blog post that highlights Moriah Carlson and her fashion class at DreamYard. DreamYard & other arts-ed organizations that are hoping to align their internal structures and practices with a justice-driven mission. National Writing Project’s Radio Interview: Listen to Renéeread from This Side of Home & talk about why she writes. 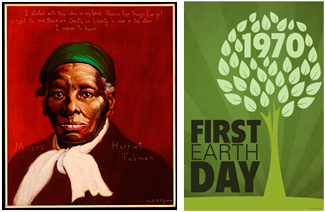 Books on Home, History & Hope: Renée shares some of her favorite books to use in the classroom & to give as gifts to young readers with Multnomah County libraries. After a summer break from touring, Renée will be back on the road again for book events and readings. Visit www.reneewatson.net for event details, updates and changes. Grace Cornell Gonzales joined the Rethinking Schools editorial board last spring, and has been an active, enthusiastic, and thoughtful participant ever since. Grace teaches at Daniel Webster Elementary School in San Francisco. We thought you might be interested in getting to know her a little better, so managing editor Jody Sokolower caught up with her after school one recent afternoon. How did you first get involved with Rethinking Schools? I was walking by the Rethinking Schools table at the Teachers 4 Social Justice conference in San Francisco a few years ago. This was my third year of teaching in Oakland, and I was in graduate school. I was talking to a friend about a project I was working on, analyzing the political content of picture books about immigration. Suddenly, [curriculum editor] Bill Bigelow was part of our conversation. “You should write an article about that,” he said. I was so surprised, because he was someone whose writing and teaching I had admired for years. He connected me to you, and you invited me to your house to talk about the article. I don’t think I would have had the gumption to submit an article cold, so it was wonderful to feel welcomed in. Most of your articles in Rethinking Schools have been about teaching Spanish-speaking students. How did that become a focus for you? I studied Spanish throughout school but really started to feel bilingual after I lived abroad–spending a trimester in Chile during high school and a year in South America during college. During high school and college, I taught English as a second language to children and adults, in the United States and in Latin America. Along the way, I learned Portuguese, too. Because of those experiences, I was interested in language education. I was looking for an approach that valued first languages, one that wasn’t based on a deficit model. In college I took a group independent study class that focused on Spanish dual immersion programs–programs in which Spanish speakers learn English and English speakers learn Spanish in the same classroom. I was excited because that model didn’t isolate Spanish-speaking students the way that bilingual programs do. Now you teach in a dual immersion program. How has reality matched up to theory? There are definitely more equity issues than I anticipated–how well does this program work for English language learners, or does it turn out to be more for the benefit of the English-speaking students? I see the problems, but I can also see ways to work around them. It’s a fantastic model. We just need to think critically about what we’re doing at every point if we want to serve all children. How has participating on the editorial board affected your teaching? It’s a pleasure to read and discuss all the amazing articles as part of the ed board. It’s the interesting political education piece of my life. I’m learning all the time. Activism–participating on the RS ed board and being part of Teachers 4 Social Justice–allows me to not despair. Before I was working with both organizations, I felt alone, so frustrated by the horrible politics affecting us as educators. I felt personally beaten down. Now, if something awful happens at the school or in the district, I say, “This is part of a larger narrative. We should organize about this.” It gives me hope. In every issue of our magazine, our editors and contributors hand-pick a variety of books, films, websites, and other media for all ages. Here are seven resources we recommended in our fall issue. You may know Gary Younge from his fine columns on race and politics in The Nation magazine. Here Younge offers the riveting story behind one of the most famous speeches in U.S. history, Martin Luther King Jr.’s “I Have a Dream” address at the August 1963 March on Washington for Jobs and Freedom. The book includes a chapter on “the moment”—an especially valuable look at both the national and international context of 1963; background on the march; an analysis of the speech itself; and commentary on the legacy of the march and speech. As Younge wrote recently: “Relatively few people know or recall that the Kennedy administration tried to get organizers to call [the March on Washington] off; that the FBI tried to dissuade people from coming; that racist senators tried to discredit the leaders; that twice as many Americans had an unfavorable view of the march as a favorable one.” This is important background for teachers, but also readable by many high school students. Katy Swalwell opens this unique book with a quote from the late Brazilian educator, Paulo Freire: “In the egoistic pursuit of having as a possessing class, [the oppressors] suffocate in their own possessions and no longer are; they merely have.” For Swalwell, a Rethinking Schools contributor, critical teaching for social justice benefits everyone—even the very privileged. As such, this work contributes to building a more just society for us all. In this accessible, story-rich volume, Swalwell offers example after example of how educators in different elite contexts attempt to teach for social justice—described in many instances through her own careful observations of their teaching. Interviews with students offer a window into how this teaching was received. This is a valuable book for any educator trying to clarify what it means to teach for social justice, but especially for those who find themselves teaching the children of the wealthy. High-volume horizontal hydraulic fracturing for oil and gas—more commonly known as “fracking”—is one of the scariest technologies on the planet. A recent open letter from Pennsylvania residents described the effects of fracking: “In short, water contamination has been widespread; our air has been polluted; countless individuals and families have been sickened; farms have been devastated, cattle have died, and our pristine streams and rivers have turned up dead fish . . . and our communities have been transformed into toxic industrial zones with 24/7 noise, flares, thousands of trucks, and increased crime.” Josh Fox’s new film Gasland II illuminates this grim reality. With a blend of storytelling, outrage, science, and, yes, humor, Fox offers a student-friendly look at this technology from hell. The first Gasland film—which featured the now infamous images of residents lighting their kitchen tap water on fire—was nominated for an Academy Award. As Julie Treick O’Neill writes in her Summer 2012 Rethinking Schools article on teaching this earlier film, “Fox was a hit with my students: He was real enough, cool enough, and smart enough to take on fracking.” Gasland II is an important resource to help our students navigate the world’s disturbing new fossil fuel terrain. For middle school and high schools classrooms. Based on her father’s experience in 1960s North Carolina, Pamela Tuck tells how a family and community challenge racism where they work, shop, and go to school. The protagonist, 14-year-old Mason, is the letter writer for the local African American civil rights committee. In appreciation, they give him a typewriter. His typing skills help him open doors when he attends the formerly all-white high school. There is no sugarcoating of the racism Mason faces. In fact, when he wins a county typing competition, not one audience member applauds. Instead, Mason finds love, admiration, and strength from his family and community. This picture book could be used to introduce the history beyond the big demonstrations about the fight for civil rights. It would lend itself well to a group read and discussion, and could also be a wonderful source of prompts for writing from the perspective of different characters. For grade 3 and above. We previously included Democracy Now! in the Rethinking Schools resources section. But, as we begin a new school year, we thought that it was worth reminding people that, in our judgment, this is the best Monday-through-Friday news broadcast in the United States. The news headlines that open each hour are a rundown of vital stories often ignored or distorted in the mainstream media. Headlines are followed by several in-depth reports, many of which make ideal classroom viewing: striking fast-food workers, conflict in Egypt, NSA revelations, stop-and-frisk policing, the true history of the 1963 March on Washington, drone strikes, the Trayvon Martin tragedy, the climate crisis, and more. One recent episode that could and should be used in class is Cornel West’s critical commentary on President Obama’s talk on race relations following the acquittal of George Zimmerman. Each broadcast is available as simple audio or as audio/video. All are archived and available for free at the website. This collection of resources from our fall 2013 magazine was reviewed by Rethinking Schools curriculum editor Bill Bigelow and Teaching for Change Executive Director Deborah Menkart. Bill and Deborah are also co-directors of the Zinn Education Project, a collaboration between the two organizations..
Find more of our recommendations on Pinterest. Subscribe to our magazine to receive recommendations like this and much more in your mailbox with every new issue. 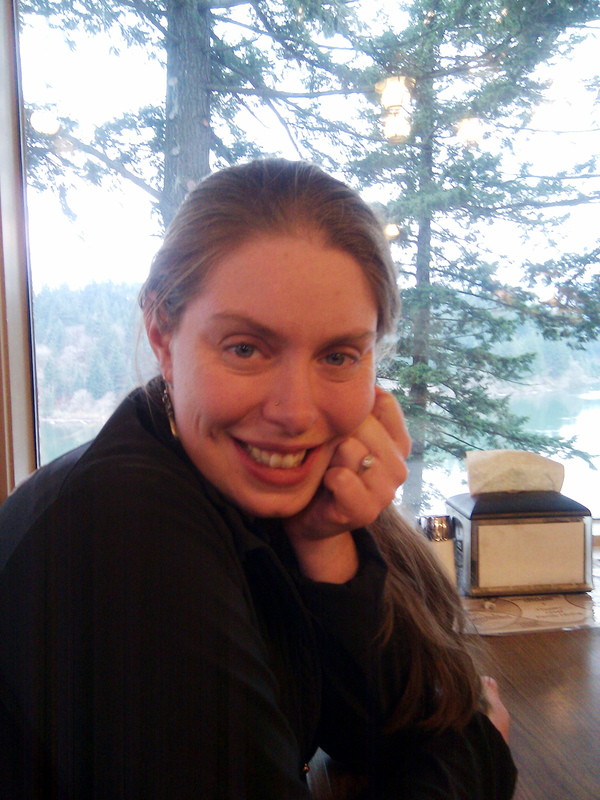 Portland, Oregon language arts teacher, Michelle Kenney, has written a provocative article for Rethinking Schools about some of her curricular choices—and how what seem like great ideas one moment, turn out to embed troubling race and gender biases. I don’t want to give anything away, because there are interesting twists and surprises in her article. But it doesn’t spoil her story to mention that in one encounter included in the article, a parent insists that Kenney teach Lord of the Flies, a book that Kenney detests because of its pessimism about human nature. It’s a novel I read as a high school sophomore. I found it engrossing, and spent long hours gripped by the conflicts of the boys on the island. But I remember being troubled by the book, and by its conclusion that invited the reader to breathe a sigh of relief as the British Navy arrived to restore order and civilization. Its message: How easy it would be to fall into barbarism, without …. well, without the guns and uniforms and commanding presence of empire. It seems that Lord of the Flies lingers as a distasteful memory for a lot of us. In her “Outside In” column in the March/April 2013 issue of Orion magazine, on “The Politics of Play,” Jay Griffiths lays into Lord of the Flies, and argues that, not only is it an offensive book, utterly inappropriate for school, but is also flat wrong in its premises. It’s a testament to the pervasiveness of racist stereotypes in today’s society that this novel wasn’t yanked long ago from high school book rooms. It expresses contempt for indigenous cultures, and embraces a cultural hierarchy, with Western empire on top. Lord of the Flies’ portrayal of humanity’s innate savagery justifies the subordination and loss of “lesser” cultures. It’s an especially troubling message these days as global warming-induced rising oceans force indigenous island people—like those on Kiribati, the Carteret Islands, and Tuvalu—to flee their homes. One day, in 1977, six boys set out from Tonga on a fishing trip. They left safe harbor, and fate befell them. Badly. Caught in a huge storm, the boys were shipwrecked on a deserted island. What do they do, this little tribe? They made a pact never to quarrel, because they could see that arguing could lead to mutually assured destruction. They promised each other that wherever they went on the island, they would go in twos, in case they got lost or had an accident. They agreed to have a rotation of being on guard, night and day, to watch out for anything that might harm them or anything that might help. And they kept their promises—for a day that became a week, a month, a year. After 15 months, two boys, on watch as they had agreed, saw a speck of a boat on the horizon. The boys were found and rescued, all of them, grace intact and promises held. Yes, we know that people can be violent and greedy. But through and through, we’re better off when the school curriculum is built on the presumption that human beings are capable of cooperation, kindness, intelligence, and solidarity. We ought to choose our literature with that in mind, and we ought to organize school life in a way that nurtures those human qualities. Rethinking Columbus. Over 80 essays, poems, historical vignettes, and lesson plans re-evaluate the legacy of Columbus. Packed with useful teaching ideas for kindergarten through college. Unlearning Indian Stereotypes (DVD). Narrated by Native American children, the DVD teaches about racial stereotypes and provides an introduction to Native American history through the eyes of children. In Teaching for Joy and Justice, Linda Christensen demonstrates how she draws on students’ lives to teach poetry, essays, narratives and critical literacy skills. 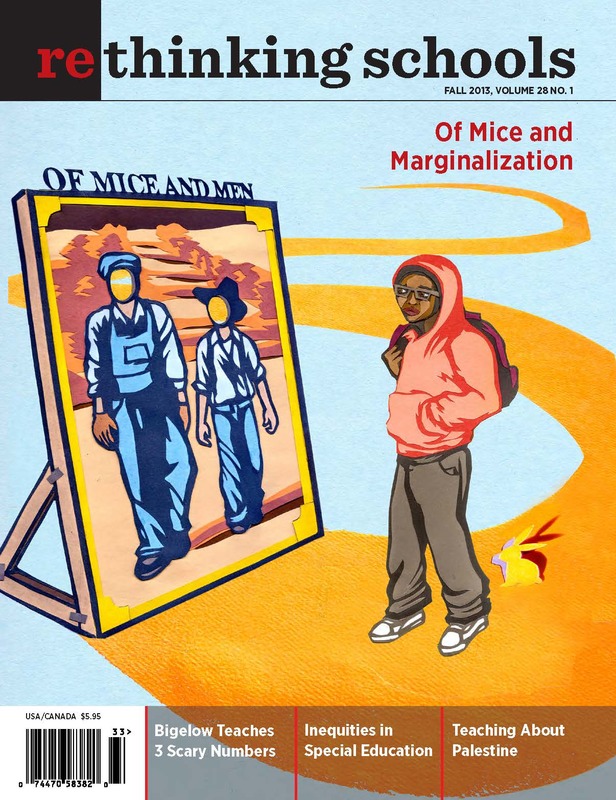 Reading Writing, and Rising Up is a practical, inspirational book that offers essays, lesson plans, handouts, and a remarkable collection of student writing, all rooted in an unwavering focus on language arts teaching for justice. On March 2nd, Universal Pictures is releasing the 3-D animated film, The Lorax, based on Dr. Seuss’s classic “environmental” book of the same name. The Campaign for a Commercial-Free Childhood (CCFC) recently sent out a “Save the Lorax” alert about the incredibly inappropriate marketing partnerships timed to coincide with the release of the film. Despite the book’s lament about environmental ruin, CCFC reports that corporations are rushing to link their products with the film. For example, the Mazda CX-5 SUV now sports the “Truffula Seal of Approval.” IHOP child menus will offer choices such as Rooty Tooty Bar-Ba-Looty Blueberry Cone Cakes and Truffula Chip Pancakes. And companies like Comcast Xfinity TV, Target, IHOP, and HP will feature online Lorax games and sweepstakes for kids. Save the earth, kids: Buy more stuff! But at the risk of sounding like a grumpy old so-and-so, let me also point out that The Lorax is not without its problems. For example, the book reduces the causes of environmental ruin to individual greed, which does not help children think clearly about the roots of today’s ecological crises. This narrow single-greedy-bad-guy focus does not help readers think about the much scarier prospect of an entire society organized around the quest for profit. And the chief environmental exploiter, the Once-ler, hires all his brothers, uncles, and aunts as workers, which makes it appear that the interests of workers and owners are identical, and that they are all inherently part of the problem. Again, this is not a helpful message for children. Instead of allowing his Swomee-Swans and the Bar-ba-loots to fight for themselves and for their environment, the only opposition comes from the Lorax—who advocates for, but actually disempowers other creatures by sending them off. Finally, in the end, the Once-ler repents, suggesting that there is hope for today’s rapacious Once-lers of the world—if only we can make them see the light. These problems notwithstanding — or perhaps because of them — The Lorax makes a fine teaching resource. At the Zinn Education Project website, we’ve posted an article of mine that Rethinking Schools published in the early 90s, “The Lorax: Revisited and Revised,” and which was reprinted in our 1995 book Rethinking Schools: An Agenda for Change. In the article, I describe using The Lorax with an after-school class I taught for several years, Literature and Social Change. Students critiqued the book in class and then re-wrote it, in an attempt to re-imagine how we might present environmental problems and their possible solutions. The article also includes excerpts from a delightful and astute “alternative” Lorax, written by students Holly Allen, David Berkson, and Becky Willner — all of whom, many years later, are still doing important social justice work. Stories like The Lorax are valuable resources to help children develop a critical literacy. Being able to evaluate both the strengths and the weaknesses of a piece of literature—or a political position, or a law, or almost anything else—is an important academic and life skill. And our students are going to need those skills in a world filled with IHOP Truffula Chip pancakes. Rethinking Popular Culture and Media, edited by Elizabeth Marshall and Özlem Sensoy. This anthology includes outstanding articles by elementary and secondary public school teachers, scholars, and activists who examine how and what popular toys, books, films, music, and other media “teach.” The essays offer strong conceptual critiques and practical pedagogical strategies for educators at every level to engage with the popular. Children’s literature is inherently political, whether it upholds social and economic inequality or resists it. For educators, the Occupy Wall Street movement offers an opportunity to think about children’s and young adult books that deal with issues of equality and economic justice. What kinds of stories do adults tell children about social class? Below are some titles that deal explicitly with economics and inequality, its causes and its potential remedies. To be sure, these are not the only children’s and young adult texts available that explore and explicitly critique the relationship between boss and worker, work and money, but they offer a place to begin. The three books described below serve as examples within a larger set of texts that aim to challenge the status quo, some more radically than others. Julia Mickenberg and Philip Nel’s anthology, Tales for Little Rebels, offers a history of radical literature for children. Their collection focuses on works published in the United States in the 20th century. The anthology includes fiction and nonfiction, poems, biographies, and illustrations from what Mickenberg and Nel define as “left of center” authors and artists, including Lucille Clifton, Syd Hoff, Langston Hughes, Munro Leaf, Eve Merriam, Julius Lester, and Dr. Seuss. Herb Kohl reviewed Tales for Little Rebels for Rethinking Schools in the winter 2008/2009 issue. 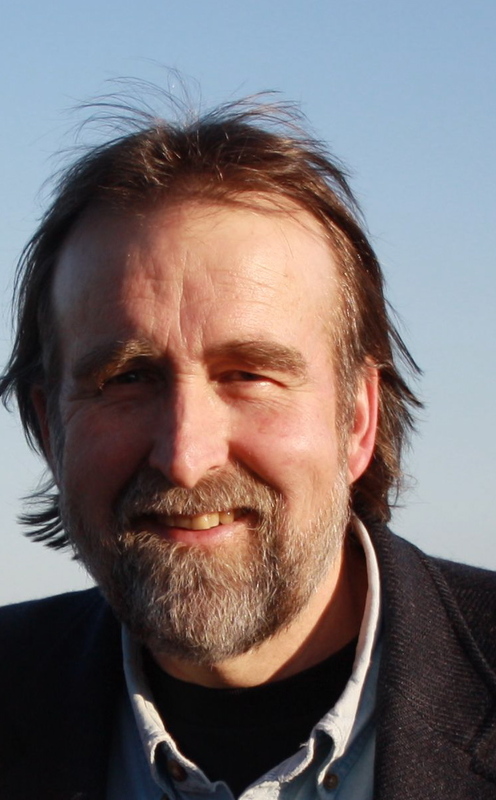 He wrote that, “Taken as a whole, the book reveals a unique, vibrant, imaginative, and energetic left-wing tradition of writing for young people.” The book includes reproductions of the original (and often out of print) texts. Two sections, “Work, Workers, and Money” and “Organize” would be most relevant for discussions about labor, economics, power, and the unequal distribution of wealth. One excellent example is “Mr. His: A Children’s Story for Anybody” written and illustrated by Syd Hoff (author of Danny and the Dinosaur and other successful children’s books) under the pseudonym A. Redfield and published in 1939 by New Masses press. In this book, a rich capitalist named Mr. His lives in a small town called Histown because “everything in it was his.” Mr. His skips through the street each day with a paper and pencil, calculating profits and singing. Mr. His has no friends in the town as the townspeople hide from him. 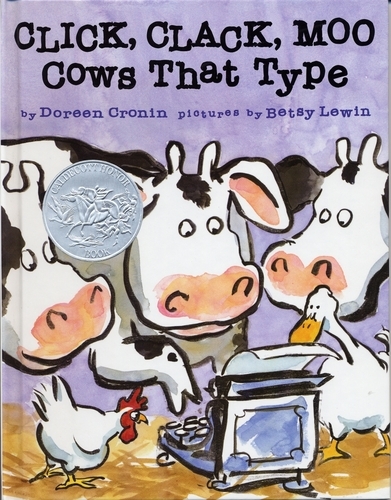 In this contemporary picture book written by Doreen Cronin and illustrated by Betsy Lewin, the cows on a farm organize for better working conditions. Farmer Brown is incredulous that cows and hens would demand such things. Finally, furious, he types a response to tell the cows and the hens that he will not provide electric blankets. Farmer Brown concludes: “You are cows and hens, I demand milk and eggs.” The cows hold a meeting to discuss the farmer’s ultimatum. They propose an exchange—typewriters for electric blankets—and the farmer agrees. While perhaps not as radical as the stories in Tales for Little Rebels—Farmer Brown remains in power at the end and the cows continue to provide labor—the book could be used to spark conversations about organizing for change and using technologies for resistance. The bestselling dystopian trilogy, The Hunger Games features 16-year-old Katniss Everdeen, who lives in Panem, a district in what used to be the United States. The Capitol forces 24 children to fight to the death in a reality television show as a way to keep the 12 districts from rebelling against it. The novels deal directly with economic repression, the use of media to uphold the interests of the one percent, and the necessity, as well as the often-violent consequences, of resistance. The books are brutally violent as Collins’s intent is to capture the realities of war. As Collins said in an interview in the New York Times, “I write about war. For adolescents.” Given that The Hunger Games is now a major film and a media spectacle of its own, with features in magazines like People, it will be interesting to see if and how the subversive elements of the books are co-opted into the mainstream. The above are brief overviews of children’s and young adult literature that seek to represent the 99 percent. Readers of this blog may have other titles to suggest. What is clear is that children’s and young adult literature teaches profound lessons about economic equality—some that challenge and others that reinforce injustice. What children’s or young adult books do you use to spark conversations about economic (in)justice? Please share your thoughts in the comments below.